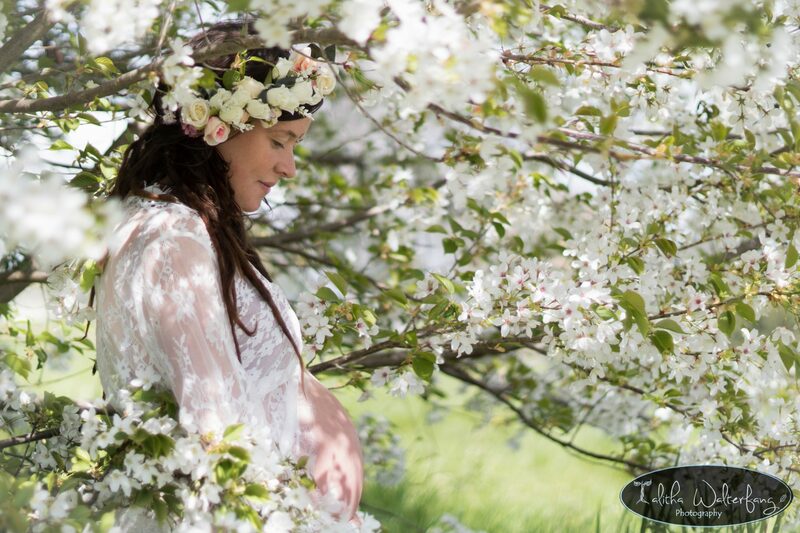 Some weeks before the birth of my daughter a vision came to me, a vision of birthing outside, beneath our big oak tree, embracing nature and bringing my baby into my own hands. Though this vision was somehow counterintuitive to my own nature and to the elements of cosiness and darkness that are often preferred by labouring women. It felt like it had come from my baby and needed to be. Labour began with a slight wet feeling in the middle of the night, and some minor cramps, a bit like menstrual cramps. I woke up excited but reminded myself that the process can stop and start so I stayed in bed for a while….but they kept coming! My partner Benji and I live in a yurt so we got up and started tidying the whole place, he even made a delicious soup! We snuggled, cuddled and kissed on the couch for a while, enjoying each sensation as they came along by the cosy warmth of the fire. Morning dawned and we went to visit the others on the land where we live to tell them our news, crouching in the grass to enjoy each surge while watching the baby calves and baby chickens. 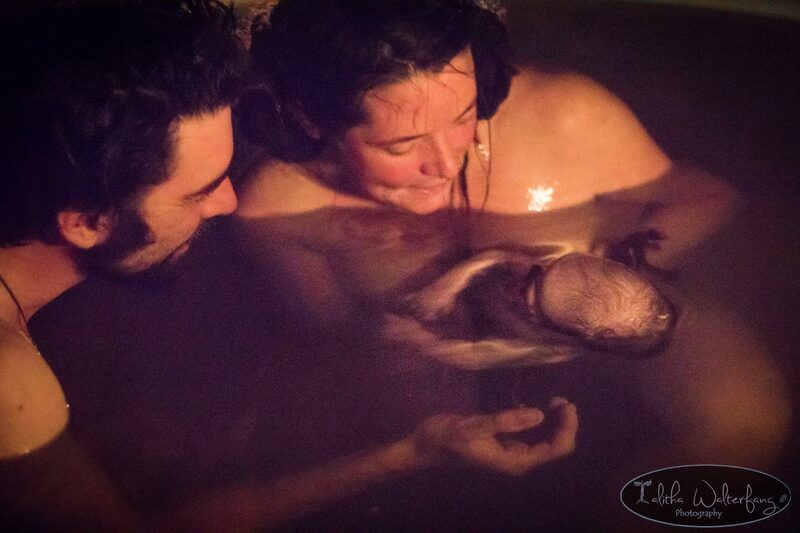 It surely felt like this was the right time of year to welcome a baby Earthside. 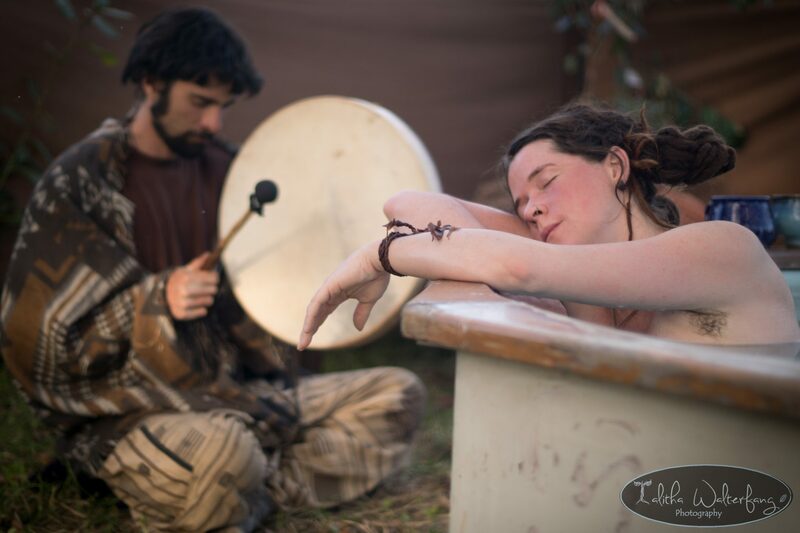 The surges steadily progressed during the day and I spent time dancing, rocking my hips and using the braided red rope that was hung over the crown of the Yurt to support my labouring body. The surges steadily progressed during the day, each one felt so amazing and real, raw, right and so soo good!! I actually LOVED each surge…saying YES, YES, YES every time the sensation took over my body! I felt deeply connected to the many women who have laboured and birthed through time, thinking of my mother, my grandmothers and the red thread that connects my lineage and brought me here today. 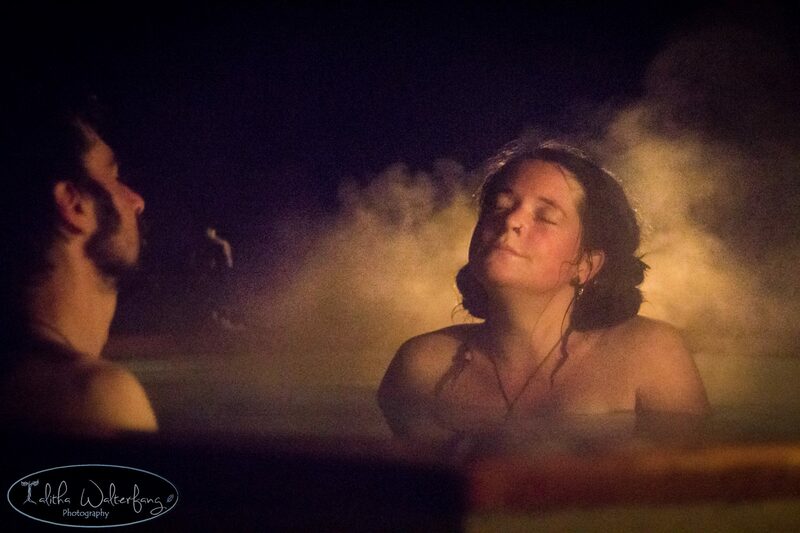 As night fell, our fire-heated outside tub was hot and ready for my body to clamber thankfully into as each surge grew more and more intense. My subconscious did the most amazing job of bringing awareness to all of the powerful words of wisdom I have gathered through time, allowing things to come through as I needed them. I remembered many birth affirmations that my friends gifted to me at my Mother Blessing two weeks before. “My body and my baby know what to do.” “Dance your baby down.” ” Each surge brings me closer to my baby” “My body was made for this”. Each affirmation was a powerful medicine and intention, bringing focus and meaning to my experience. I loved kissing Benji very deeply, it was a very sensual experience – so intimate. I followed my intuition for when to move, to dance, to sing, as did my partner who was drumming, chanting or singing with me. It felt raw, real and wild being outside under the starry night sky. I felt the beautiful power and magic of my body, dancing my baby down! What an incredible, all consuming feeling…. it was truly my body doing it all, with no intention on my behalf! I had researched about the Fetal Ejection Reflex and here it was, in full force and beauty, my body birthing my baby. I was surrendering to what my body wanted to do. I stepped into an unexplainable POWER and surrendered to everything yet to come like I have never experienced before. I started to feel her wee head coming and remembered to let her slowly come through, so as to stretch me slowly…. she came three times and snuck back inside again. I was laughing, smiling and calling her, welcoming her to come. Benji said we were in deep dialogue together, her and I, as I called her, told her it was safe, she was loved and we were ready for her to join us. She was responding to me, hiccupping and wriggling inside. The fourth time, her head popped out. I sensed the intensity of fire. I reached down and felt her soft hair and two tiny ears. I was overwhelmed with love. I could feel her cord quite tight around her neck and wasn’t able to unhook it immediately so I knew I needed to bring her out in the next underwater push… so I did! 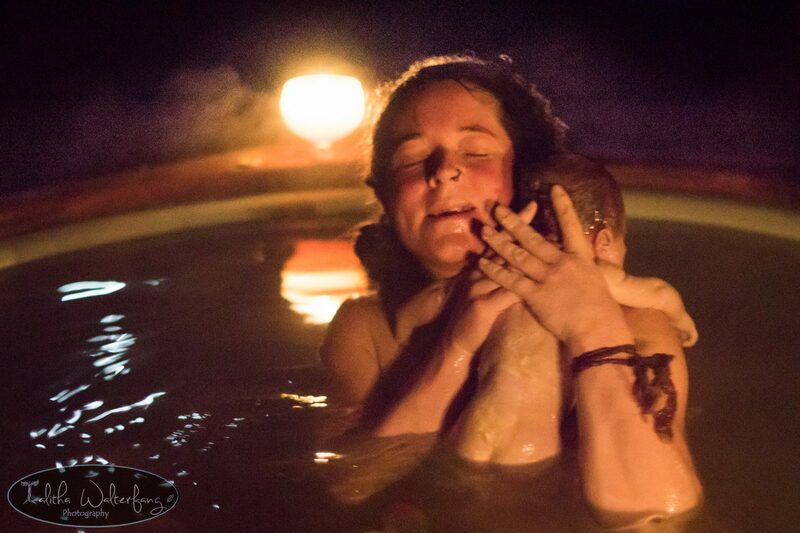 That was the first and only time I consciously pushed during my birthing, rather than letting my body take the lead. Together Benji and I quickly unwrapped the cord and slowly let her find her way to the surface of the tub’s water. She opened her beautiful wise eyes and looked up at us from under the water. That moment burnt into my heart forever! The whole journey was the most powerful and incredible moment of my life. I’m in awe of the perfection of the whole night and day, her, and how everything flowed and how magical it was! You know what? It actually felt AMAZING! The power of my own body bringing life Earthside! Suddenly the pool felt a bit cool, so we got out and went inside the yurt. We noticed she had some fluid in her lungs and was struggling to breathe. Benji started to work with her, blowing puffs of air into her lungs and giving her the breath of life, until she could breathe clearly on her own. 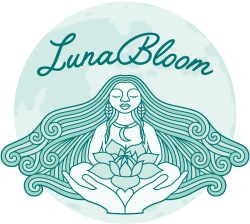 At no point did I feel panic, I knew she still had her placenta attached, and that this functioned as her oxygen supplying organ, supporting her to digest, breathe, and live as it had for the last ten moons in my womb. She still had this connection for long after her birth, allowing the blood, iron and goodness to flow into her body through the intact umbilical cord. I trusted her, the process, and my deep knowing which I had within since the beginning – that everything will be beautiful and fine…. and it was! 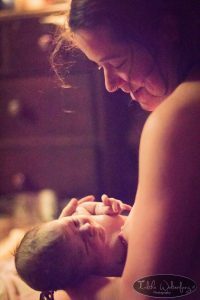 I have always wondered about my own intuition during birth, about how I would know what to do… and you know what? I knew what to do, just like that! 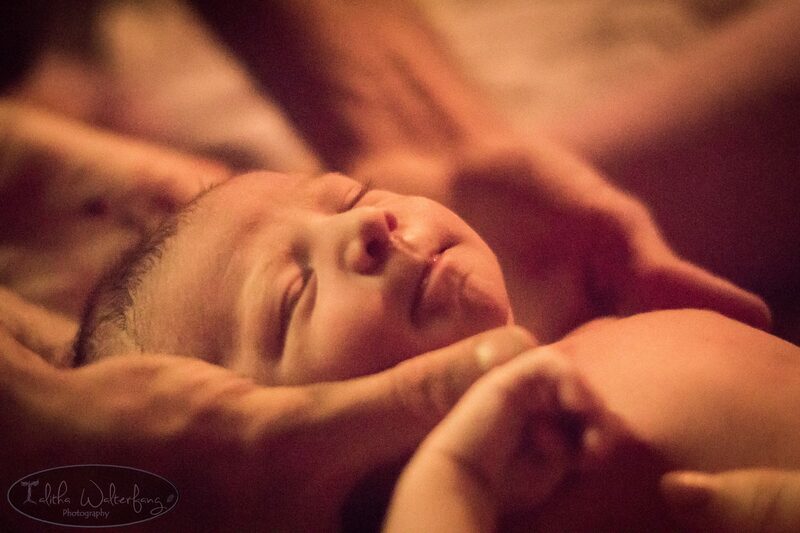 We are madly in love with this tiny being who is so peaceful, calm and relaxed…. perhaps by nature or perhaps because of the way she entered this world. Story shared by: Alexa Pedersen. She is also a creator of the most beautiful felt fairies.